On Wednesday, 16 April 2014 I helped give a presentation to the Bits & Bytes Computer Club, along with Jim Reeves and Brian Bentley. Microsoft Windows XP finally reached its End Of Life on Tuesday, 8 April 2014. It was a good run, starting in 2001. And, WinXP is still being used by many people who can’t, won’t, or haven’t yet upgraded. 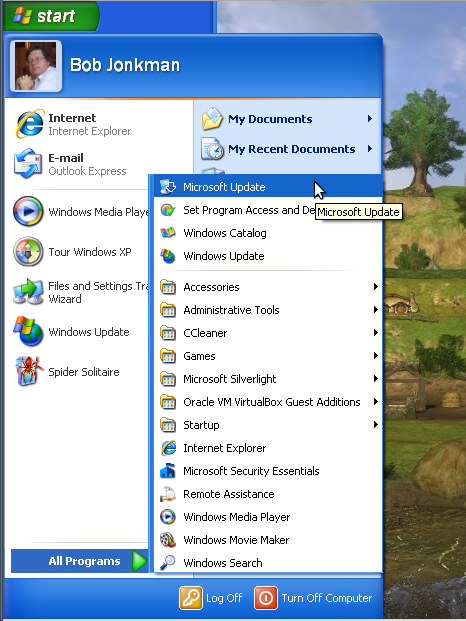 Of course, now that WinXP is EOL there will be no further updates. 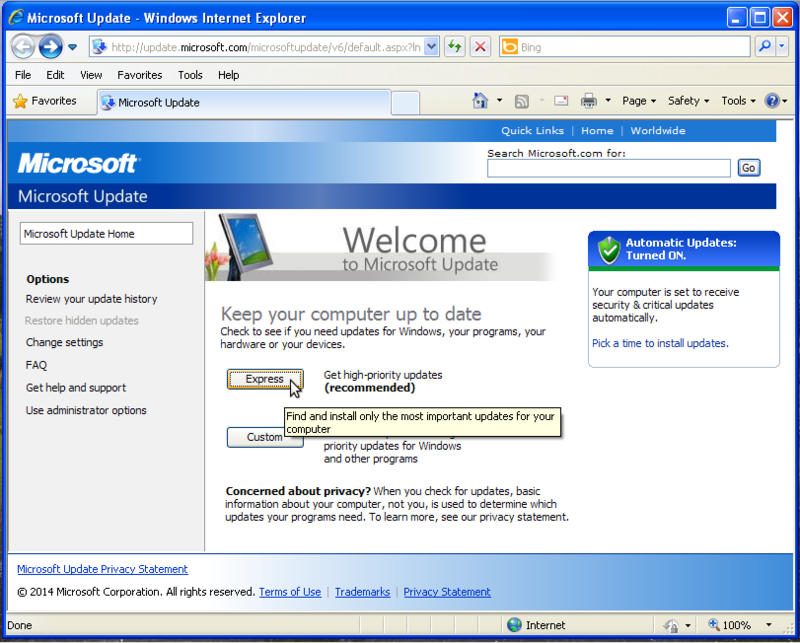 Any vulnerabilities discovered after 8 April will go unfixed, leaving WinXP computers vulnerable to attack. What can you to do minimize your risk? First, and most important: If you haven’t already run the Microsoft Update, do so now. Click on Start, All Programs, Microsoft Update.